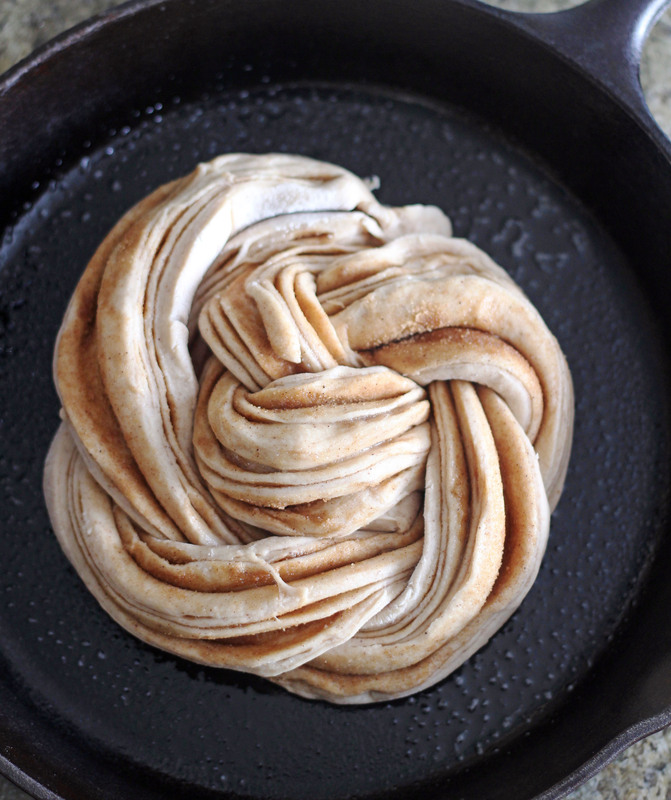 This Cinnamon Swirl Bread is ah-mazing! 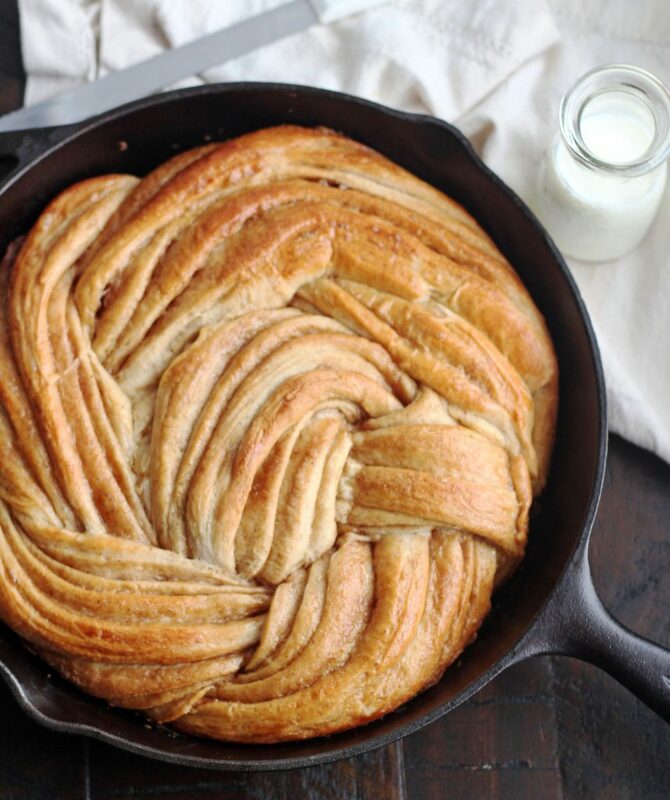 Tender, slightly sweet and absolutely amazing with golden swirls of cinnamon throughout. Easier to make than you might think. 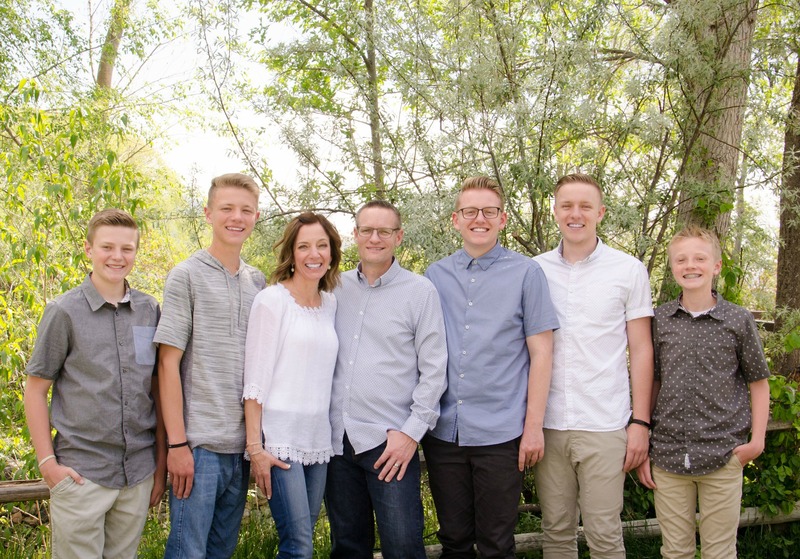 This last Sunday we had some crazy, strong winds in Utah. If you live here, you know what I’m talking about. I was sitting at the computer in our den Sunday afternoon while the winds were fiercely blowing outside. I remember thinking that the wind was so strong something bad was bound to happen. Within a few minutes I saw a trampoline flying through the air. . . our trampoline to be exact. Not even joking! The wind was so strong it literally lifted our trampoline up into the air, over our fence and into the street. If I hadn’t seen it, I wouldn’t have believed it. That is something you only see in the movies, right? I thought for sure our fence would be destroyed, but it wasn’t, that is how insane the wind was. It lifted our tramp high enough that it cleared our fence. It did take out our street sign on the corner of our circle as it flew through the air, but thankfully nothing else. The fact that it didn’t hit another house was a miracle and thankfully no car was driving by and no one was walking by. Needless to say, our tramp didn’t come out unscathed, in fact, it was pretty trashed. It’s now sitting in a pile of pieces on the side of our house waiting for city clean up. 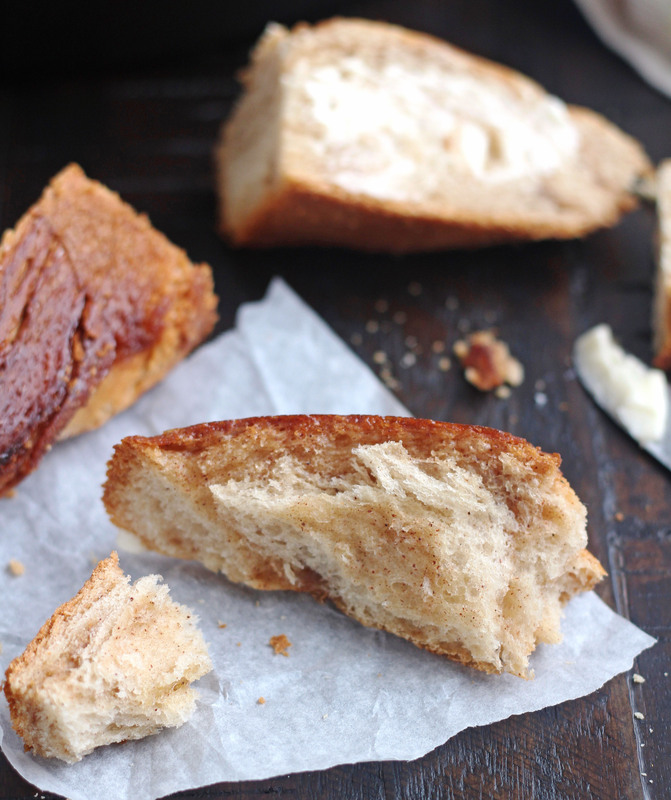 Speaking of crazy, this bread is crazy delicious! I could have eaten the entire loaf. 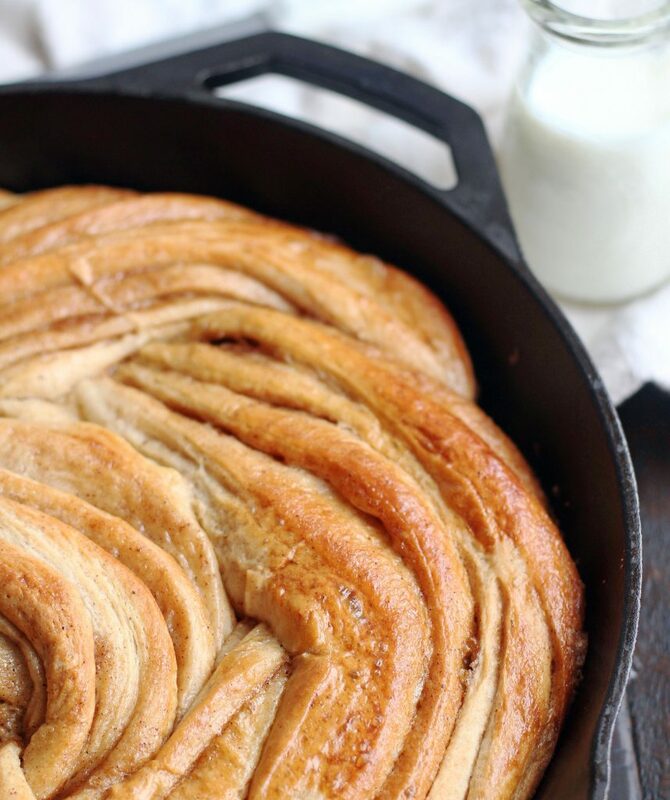 It’s tender, buttery, not too sweet and has just the perfect amount of cinnamon swirled throughout. Eaten warm with butter smeared all over it is heavenly! Once it’s rolled up jelly roll style, use a sharp knife or bench scraper to cut it in half lengthwise. Rotate each half so the cut side is face up. Pinch the two pieces together at the top and then carefully twist them together, keeping cut side face up. Now twist it into a spiral, tucking ends underneath. Let it raise and then bake it up and it turns into this beautiful, golden pan of deliciousness. This bread is phenomenal you guys. I used what was left of it the next day for a french toast casserole and it was out of this world! Honestly the best French toast casserole I’ve ever made. 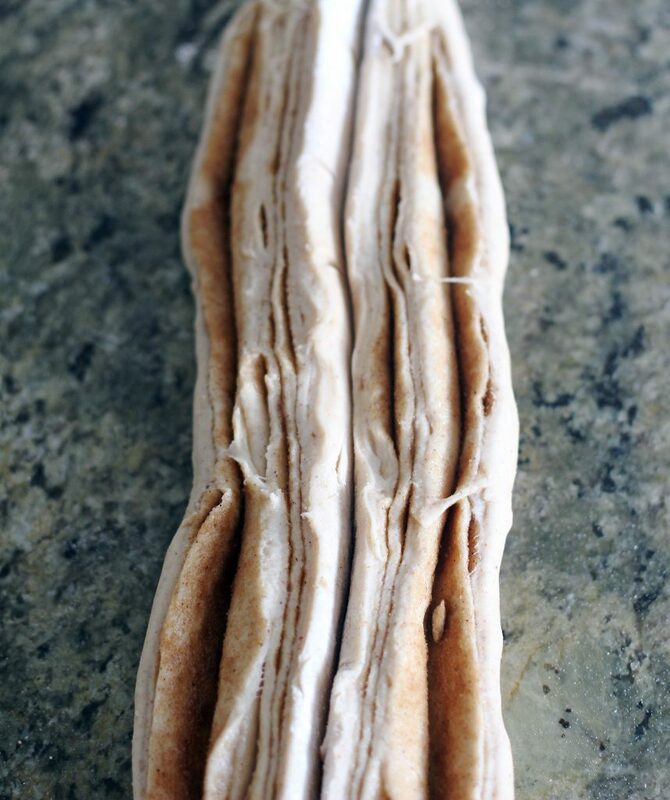 The instructions may look long and daunting, but I promise this is so simple to make. Your house smells amazing while it’s baking! You will love this bread! 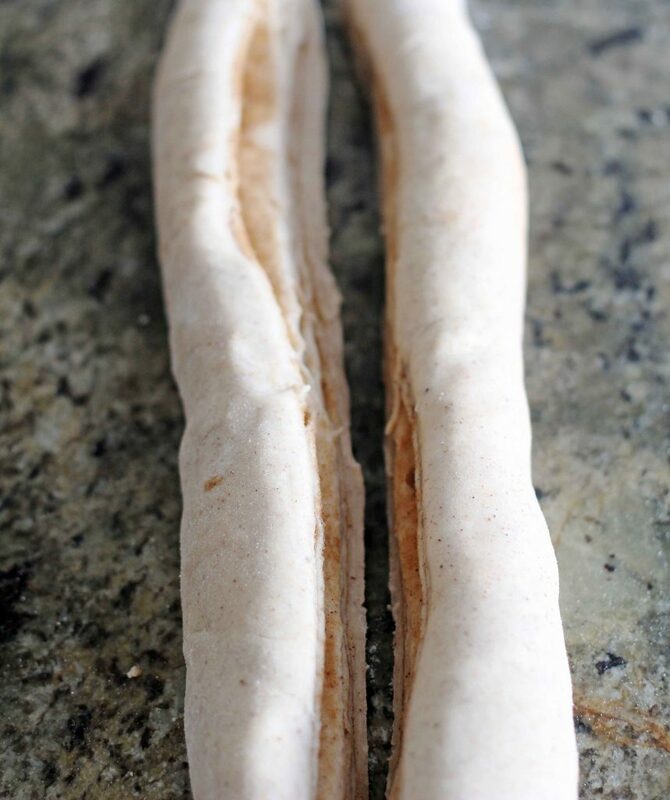 You can see this bread isn't super "tall" because I put mine in a 12-inch skillet, thinking it was a 10-inch (oops!). Because the pan was a little bigger than is should have been, the bread spread out more than it should have as it raised. It was still amazing, but if you make this and use the right size pan, yours should turn out a little taller. If you don't have a cast iron skillet, you can use any 10-inch oven-safe skillet. Thanks Tammy! It is heavenly! I tried this recipe at high altitude and with dark brown sugar and it worked like a charm! I didn’t have a stand mixer so I kneaded it for 10 minutes to develop the structure and I had no problems. Thanks for the great post! Yay! I’m so glad you made this and loved it. 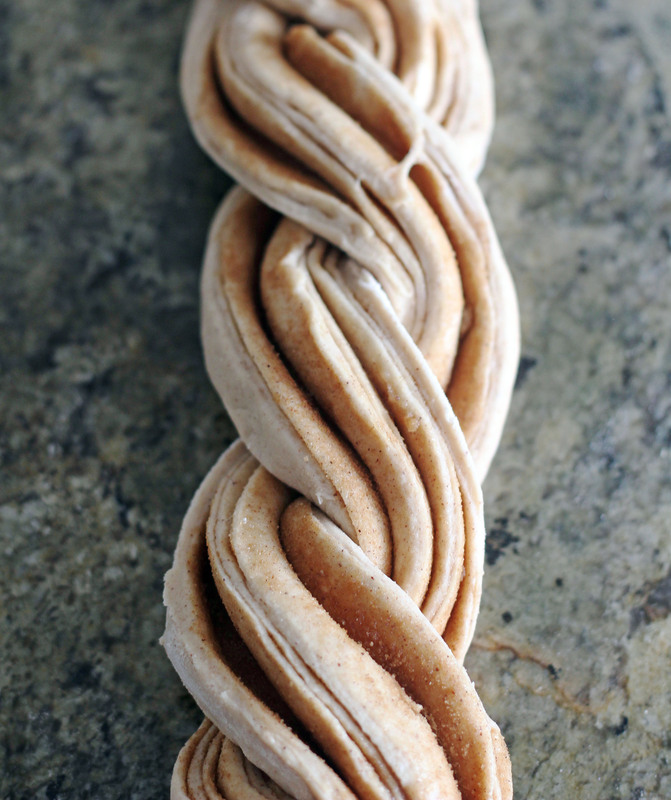 That is a labor of love to knead it by hand. Thanks for letting me know it turned out. Bread was delicious! But mine wouldn’t rise. I used all purpose flour and the yeast. Sorry to hear that Michael. Was your yeast expired by chance? I’m glad it still tasted delicious. Hopefully you’ll give it another try. As I read the recipe I don’t see at what point you are adding the egg. Hi April, there is no egg in the dough. It says in the instructions (towards the end) that you brush the loaf with the beaten egg before baking it. Do you think it would work to do the 1st rise and shaping one evening and cover it and refrigerate it overnight for the 2nd? My family can’t wait 2 or more hours to eat breakfast. I think I will try it. I will let it warm up before baking it. I think you could absolutely do that. Let me know how it works. Thanks Sheri! Happy New Year. Bread is my all time favorite thing to make! This recipe is perfect. The instructions are ez to follow. The bread is gorgeous and tastes as good as it looks. This is a winner keeper! Thanks Barbara! I’m so happy to hear it turned out for you. It is delicious! Thanks for letting me know. I made this bread but because I don’t have a cast iron skillet I used 2 loaf pans. They came out absolutely beautiful and the bread was very yummy!! I’ll definitely be making this again! Thank you! So happy to hear you loved it. That’s good to know it works in two loaf pans. Thanks Tara for leaving a comment! Hello, Do you have a printable form of this recipe? for me to do so it pages of added ad’s.. I really want to try this. I eve tried copy and past, did not work. Hi Rose, you can press on the print button in the recipe card and it should print the recipe just fine. Let me know if you still have a problem. 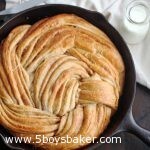 Great bread recipe for cast iron. Made it and family gobbled it all up. I love finding new ways to use my cast iron pan. Thank you, thank you, thank you. Sp happy you your family loved this Robin! Thank you for letting me know! Happy holidays! Hi Cathy! It’s 2 tablespoons, thanks for catching that. I’ve fixed it. Enjoy! I’ve made this bread twice and it is soooo good. I could eat the whole thing by myself.. for every meal. I love that it’s not too sweet and it has wonderful flavor and texture. Last time I made a cream cheese frosting. Super addictive. I’m going to try the butter on it next time. I look forward to making this on a regular basis. Hi Laurie! I’m so glad you love this bread! And the cream cheese frosting . . .what a brilliant idea. I am definitely going to try that. Thanks for leaving a comment.